NOTRE DAME, IND. – Five Fighting Irish pitchers combined to allow just two of 16 baserunners to score in Notre Dame’s 5-2 victory over No. 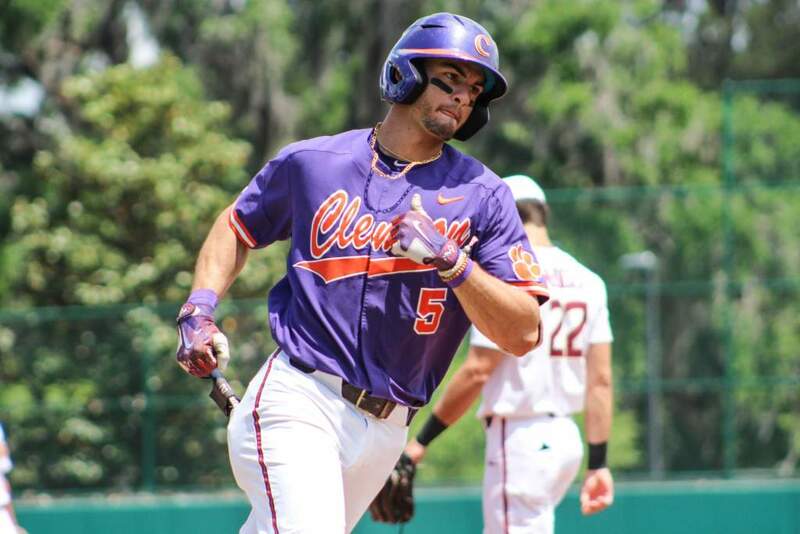 6 Clemson at Frank Eck Stadium on Saturday afternoon. The Fighting Irish, who took a 1-0 lead in the series, improved to 13-16 overall and 5-8 in the ACC. 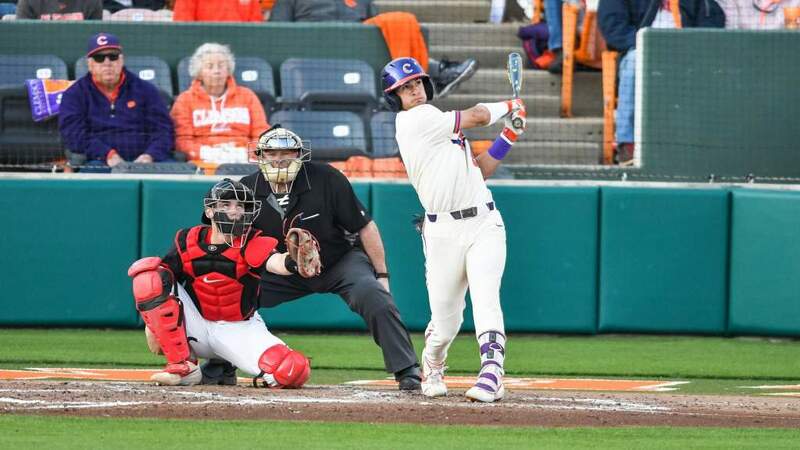 The Tigers, who saw their five-game winning streak end, dropped to 23-7 overall and 8-5 in ACC play. Jake Johnson laced a two-run homer in the first inning to give the Fighting Irish an early lead. Jordan Greene hit a sacrifice fly in the third inning before Notre Dame answered with a run in the fourth inning on a two-out flyball that was lost in the sun. Grayson Byrd hit a towering solo homer, his fifth of the year, in the fifth inning. After Notre Dame escaped a one-out, bases-loaded jam without giving up a run in the top of the seventh inning, Nick Podkul lined a two-out single to score a run in the bottom of the seventh inning. Notre Dame escaped another one-out, bases-loaded jam without surrendering a run in eighth inning as well. Notre Dame starter Scott Tully (4-1) pitched 6.0 effective innings to earn the win. 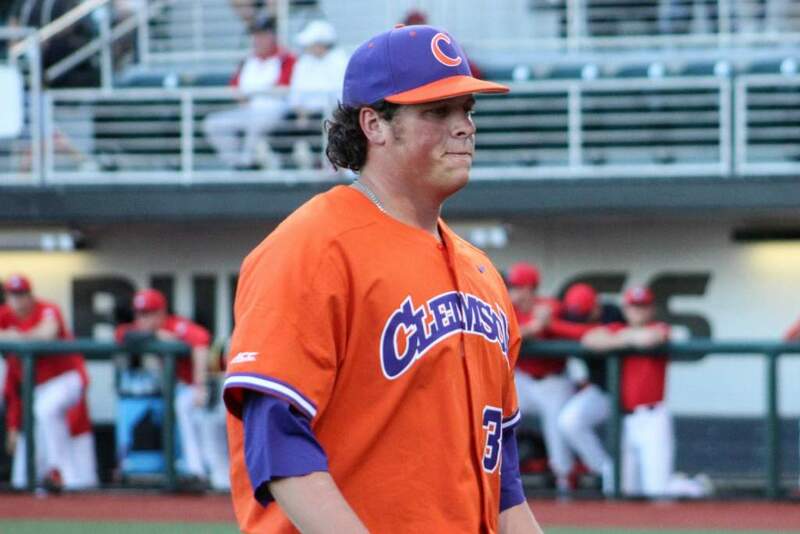 He allowed five hits, two runs and three walks with six strikeouts. Cole Kmet pitched the final 2.1 innings to record his fifth save of the season. 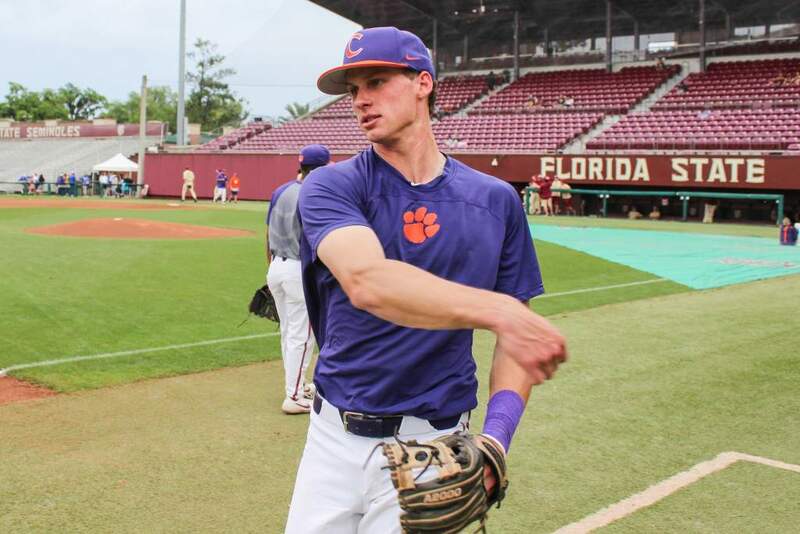 Tiger starter Jacob Hennessy (3-2) suffered the loss, as he yielded seven hits, four runs and two walks with two strikeouts in 6.2 innings pitched. 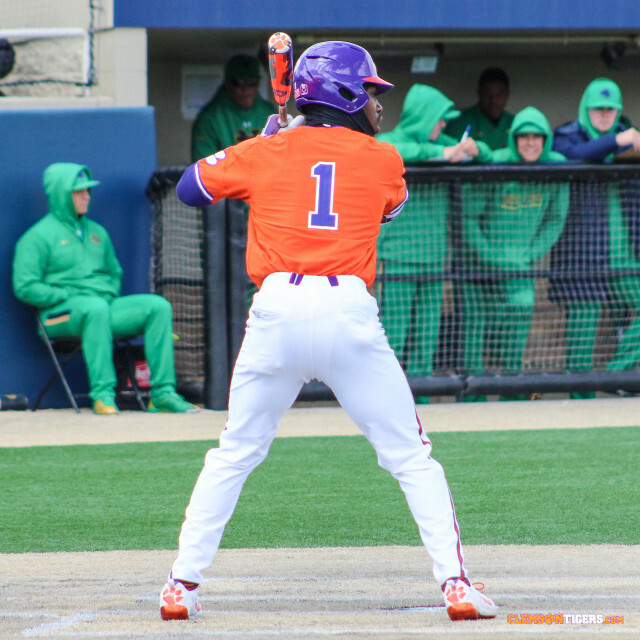 The series concludes Sunday with a doubleheader starting at 11 a.m., on ACC Network Extra.